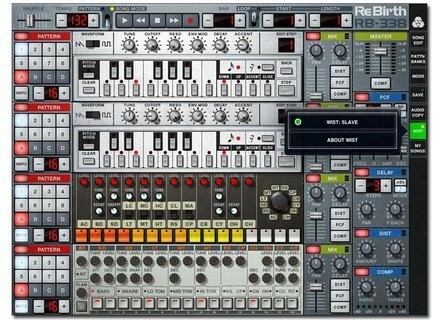 ReBirth App, Workstation, DAW or sequencer for iPhone / iPod Touch / iPad from PropellerHead in the ReBirth series. Propellerhead Software today announces the immediate availability of ReBirth for Apple’s iPhone & iPod Touch. 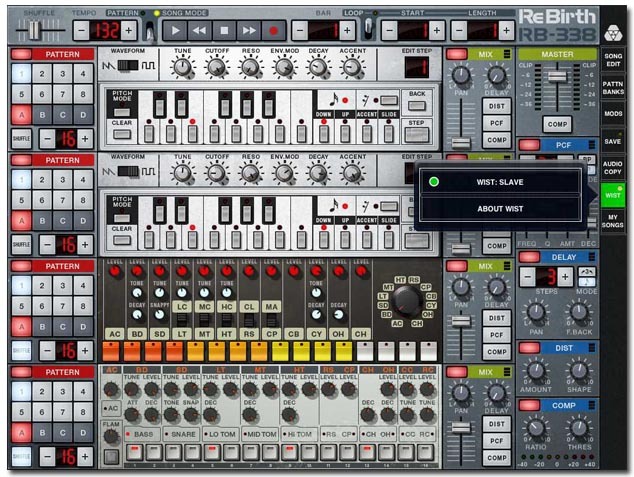 ReBirth is a reproduction of the Propellerhead’s music-making software from 1997 for the iPhone. 2 x TB-303 Bassline Synthesizer with pattern sequencer. The original Acid House and Techno bass synth. TR-808 Drum machine. Roland's sub-heavy 1980 beat computer. Instant hip hop. TR-909 Drum machine. The go-to beatbox for everything House and Techno. ReBirth is available hrough Apple iTunes App Store today, at a price EUR € 5.49 / USD $6.99. More info can be found at: rebirthapp.com. ReBirth can be purchased at iTunes here: itunes.apple.com/us/app/rebirth/id368199125?mt=8. Bolder Sounds Crystal Glasses V2 Kontakt The crystals recorded in that library date back to the mid 1990’s when 16 bit mono samples was the standard format. Lick Library Deep Purple Tuition DVDs To celebrate the 65th birthday of Deep Purple guitarist Ritchie Blackmore, Lick Library has chosen four DVDs from their library of titles, featuring Ritchie’s style of playing. Nuendo 5 Tour & BV Plugins Update Steinberg just announced the Nuendo 5 word tour; the Nuendo 5 tour also marks the official release of VST3 versions of all BX plugins.